The pastor of a rural United Methodist church was fired from his job after voicing his doubts that sinners live an eternity of torment. Reverend Chad Holtz was dismissed from Marrow's Chapel in Henderson, North Carolina, when he posted a note on his Facebook page supporting a book written by prominent young evangelical pastor Rob Bell. 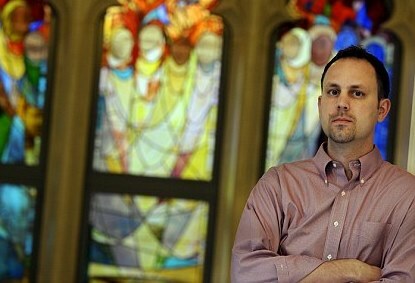 Two days after he posted the comments, Rev Holtz was told he had been dismissed after complaints from church members. According to Rev Holtz, church members had also been unhappy with Internet posts about subjects like gay marriage and the mix of religion and patriotism. Come on, Methodists. Aren't you supposed to be the moderate ones? based upon the comments of his supervisor, his district superintendent and i'm sure with the consent of the resident bishop, there was more to his firing than just what has been made public. Take Back Earth Day—For God! Religion is Dead! Long Live Religion!